The country needs the BJP but internal democracy in the world's largest political party has "weakened" in the last couple of years and veterans in the party have been given short shrift, says Chandupatla Janga Reddy, one of two MPs who opened the BJP's account in Parliament for the first time in 1984. Reddy, now 84, had defeated P.V. Narasimha Rao in Hanamkonda in Andhra Pradesh and along with A.K. Patel from Mehsana in Gujarat, had held the party flag aloft in the House which saw the party's numbers grow up to 88 in 1989. In an interview to IANS, Reddy rejected the opposition charge that democracy has been weakened by the ruling dispensation and held Congress responsible for the crisis in Jammu and Kashmir, which, he said led to the killings of over 40 CRPF troopers in Pulwama on February 14. 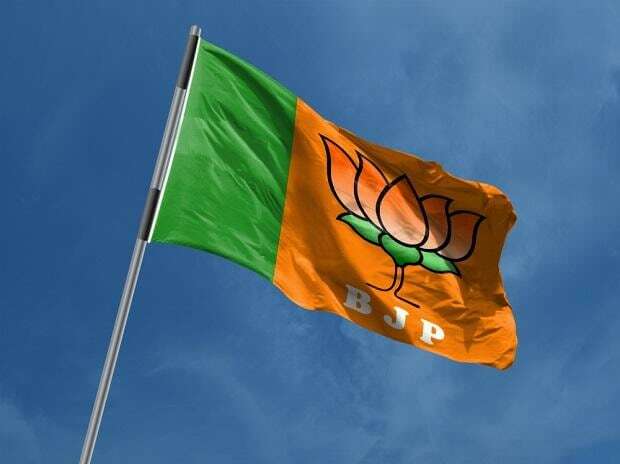 "The country needs the BJP. The party is the need of the hour. Due to the wrong policies of the Congress, the country suffered a lot. It was due to their policies that recently 40 of our jawans were martyred in Kashmir," he said expressing his anguish over the killings. The veteran BJP leader, however, expressed concern over the present state of affairs in the party but said he was with it in the national interest. "There is no doubt that I am angry but what can I do? I am now 84 years old. Nobody listens to me. I took time to meet Amit Shah but it ended in just two minutes. Despite all this, I have lived for the BJP and would die for the party," he said. Asked about the opposition's charge that parliamentary democracy was in danger under the present regime, he rejected it. "If Congress says democracy is in danger, I reject it outright. They might be saying because they are at an all time low in numbers in Lok Sabha. The roots of our parliamentary democracy are strong and they can't be weakened," he said, adding, "But one thing I can say that internal democracy in BJP has weakened." Hanamkonda, a part of Warangal district in Telangana region, came into existence as a parliamentary constituency in 1977 and remained till delimitation in 2009. Rao was the first MP to represent Hanamkonda in Parliament. On the recommendation of Delimitation Commission, seven Lok Sabha constituencies in then Andhra Pradesh were abolished in 2009 and Hanamkonda was one among them. Hanamkonda, famous for attractions like the "Thousands Pillar Temple" and the temple to goddess Bhadrakali located at a hilltop, is now a part of Warangal Lok Sabha constituency. Asked about, how he felt about seeing BJP's journey from two seats in 1984 to 280 in 2014, Rao replied, "Better you ask those who are running the government." "But what I can tell is that the party veterans have been given short shrift," he said though refusing to go into details. To a query on why the BJP failed to enlarge itself in the southern state like it did in Gujarat, Reddy who was a member of Andhra Pradesh Assembly in 1967-72, 1978-83 and 1983-84, blamed the then BJP central leaders's decision to go for a coalition with the Telugu Desam Party (TDP) led by NTR. "I always opposed an alliance with the TDP. I was of the view that even if we fail to win a single seat, we should go solo rather than in an alliance. The BJP wanted to finish the Congress, which was in power in Andhra Pradesh, and thus it aligned with the TDP in 1983. But what happened? Finally, the BJP has been finished by the TDP. "The alliance with the TDP was finally done just because of self-interest of some of the state leaders, who were close to then central leadership. I opposed it. Before contesting 1984 Lok Sabha polls, I was a three-time MLA and that too without any alliance. "N.T. Rama Rao was the Chief Minister. During the Lok Sabha polls, he called me for the fourth time to convince me on the need for an alliance. He told me that only you (Reddy) can defeat (Narasimha) Rao. So, I finally bowed before him and the central leadership," he said. In 1984, Rao was defeated by the little-known Reddy with NTR's support and that too at a time when Congress won as many as 414 Lok Sabha seats in the wake of assassination of then Prime Minister Indira Gandhi. The Congress, led by Rajiv Gandhi, had made huge gains across the country except in Andhra Pradesh where NTR led the TDP to a landslide victory. With numbers second only to the Congress, the TDP became the main opposition party in the Lok Sabha. Reddy said he again contested 1998 general elections and was defeated, which, according to him, came as an end to his political career. "I was seeking ticket from Hanamkonda but I was forced to contest from Warangal. I went by train to meet Atal Bihari Vajpayee in Baroda when he was touring Gujarat but could not meet him. I met (L.K.) Advani in Jaipur. But nothing happened. Finally, I was defeated," he said.